How to turn a kitty into a bow wow! 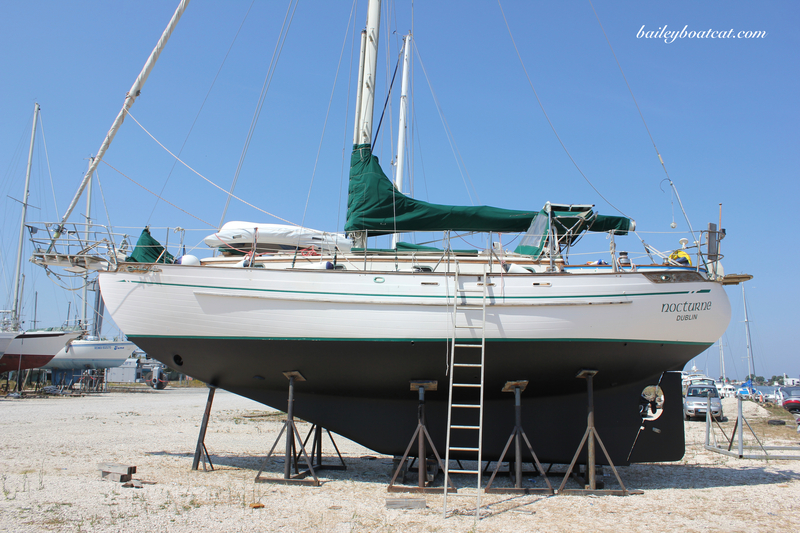 Getting your Easy on boat style? I bet you have a good view from there! Bailey, you are so amazing – I’d totally be nervous up there! Farley here. You are one brave cat to sit that far up on the bow. 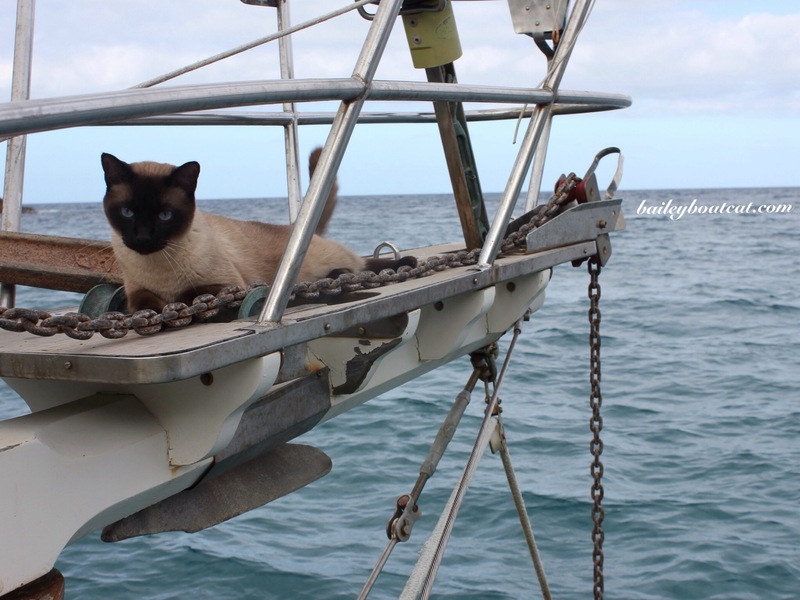 My human, Matt, rescued a cat that fell of the boat anchored beside us. 6AM and all were sleeping. I got excited and work everyone on board up. The boy on the boat beside us jumped in the water to get the cat and all before coffee. I set close to the bow too, though. Oh look at you! You’re so handsome! (*sigh*)!